Dry Fire Training can be the most effective way to train with your firearm at home, especially when making a trip to the range just isn’t possible. 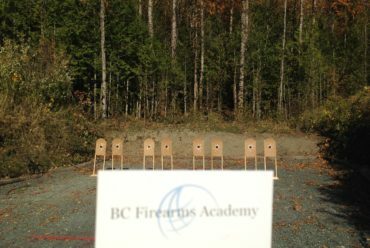 Most gun owners are just told to go home and do dry fire training, either by their local gun salesman or instructor. This is the equivalent to someone telling you to take medicine because you have the sniffles. There’s a ton of unanswered questions like how much? How many? What kind? When? Many of us who grew up around firearms have been warned for years never to dry fire any firearm. But can you really damage your firearm by pulling the trigger on an empty chamber? The answer is, as you might have guessed, “it depends.” Most modern firearms are safe to dry fire, but there are some notable exceptions. 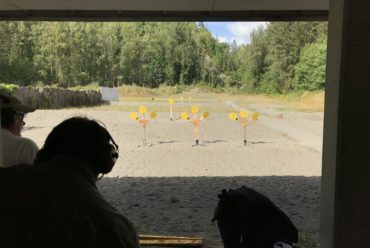 Rimfire rifles and pistols should never be dry fired. The reason is due to the design of rimfire chamber. When a rimfire firearm is dry fired, the striker hits the outside mouth of the chamber instead of the soft brass rim of the cartridge. This can not only damage or destroy your firing pin, but over time will peen the barrel face. Extensive peening can be so bad that ammunition will no longer chamber. Many older pistol designs had notoriously brittle firing pins, such as the CZ-52. Pull the trigger on an empty chamber with that pistol and you’re almost assured of having a broken firing pin in just a couple dozen strikes. The problem with many centerfire designs is that the firing pin travels too far when dropped on an empty chamber. In many semiautomatic firearms, the firing pin is only stopped when it hits the end of the firing pin channel. Other pistols, such as older Smith & Wesson revolvers, have the free floating striker pinned to the hammer. Again, there is the same problem that when the firing pin over-travels, it can hit the frame potentially causing damage to the striker.